Social media marketing is all the rage in today’s business world. Nearly all kinds of entrepreneur have seized the incredible marketing opportunities made available by the widespread use of social media. Given the immense inbound benefits of social media marketing, it’s strange to come across a businessperson who isn’t on any social media platform. A company has a greater chance of going global when it’s on social media. What’s more, it doesn’t cost anything to use any of these social media platforms. The only way you will achieve your marketing goals is if you research gain knowledge of your ideal audience. Will your target market be parents, adults or teenagers? You can’t expect your marketing activities on social media to work when you don’t even know if your audience is using the particular platform you’re publishing on. No matter how good your marketing efforts are, if you’re addressing the wrong audience, you are bound to fail. Once you know what you want to achieve with your social media marketing, the next thing is to find out what channels perfectly correlate with your goals. Document the most used social network, age group, income, location, and job title of your target audience. Clicks: These are the number of times people ‘click’ on content related to your brand or website. When you track clicks, you will understand what motivates people to buy or what spikes their curiosity. Reach: How widespread are your posts on social media? It helps to know if they are reaching your users’ feeds. Hashtag performance: Hashtags that incite the most engagement and that have close associations with your brand. Engagement: One major benefit of social media marketing is that it fosters a personal relationship between marketers and their customers. It’s good to measure the number of social interactions you have on your social platforms. Other metrics you can evaluate include your organic likes and reactions of customers to the posts you make. Having a well thought-out social media mission statement will guide the actions you make on social media. Create this statement with two things in mind: the identity of your brand and your ideal customers. With this statement in place, it will be hard for you to make random posts. Deciding what to create and share on social media won’t be difficult. Do this before you start creating content, as it will give you a good idea of your potential customers’ preferences. Without stealing your competitors’ ideas, study and understand what helps them grow. Learn from that and use it to develop your own content. You’ll have to first find out who your competitors are by looking up industry terms on Google. After identifying a number of them, you can track their Instagram and Facebook content using a social media competitive analysis tool. After you’ve taken the preceding steps, creating engaging content that you will share on your social media platforms is the next thing to do. Since you already know who your target audience are, creating content should be easy enough. Content includes texts, images, videos, eBooks, blog posts, interviews, infographics and company news. You must ensure that the content you create aligns with your mission statement. Also, make sure that all your content is valuable, relevant and of high quality, as these points are what will attract and engage your customers on social media. Social media is a space primarily meant for sharing content and having discussions. No matter how busy you are, you have to make efforts to be available for, and converse with, your audience. The only way you can increase audience awareness is through your online presence and engagement. Don’t leave their questions and opinions unattended to—you gain their respect when you don’t ignore them. Know the best time to tweet or post on Facebook because it doesn’t end at posting, you still have to reply to their comments. You can only know the success rate of your marketing strategy by tracking your efforts regularly. Use social media tools like Google Analytics or Sprout Social to examine the performance of your messages, posts and hashtags. Tracking helps you know whether or not you’re on the right path so that you can take the necessary corrections. Your business will definitely be on the right track when you utilise these social media marketing strategies. Besides marketing on social media, you can also create a website to promote your brand. 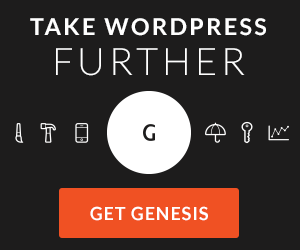 There are WordPress hosting guides, Web design guides and lots more to help you. When you eventually do, ensure you use a perfect domain name—something that can be easily remembered.